Soon a spring planting company will come and in connection with this, for all producers of agricultural products, the question of choosing not only quality seed materials but also modern processing will be opened.Not only areas for growing crops suffer changes, but also pesticides. To your attention the main trends of 2017, which were obtained through panel research.During the period from February to April 2017, 683 enterprises were surveyed, which specialize in the production of basic crops. The main objective of the study is to analyze the preferences of agricultural enterprises during the selection of materials for sowing, as well as the means for their processing.The participants of the study were enterprises from each region, and their total occupied area is 2.6 million hectares. According to the results of the study, it was possible to find out that the producers of agricultural crops prefer seeding the already etched seeds. In this case, the enterprises themselves are engaged in processing not only materials for sowing their own production, but also to a greater extent purchased.After analyzing the means used for sowing in 2017, entrepreneurs used fungicidal pesticides to a greater extent with respect to grain and oilseeds. The same situation was in 2016, which confirmed the fact that in sowing crops in the early stages of development, the susceptibility is much greater.If we consider in detail the structure of the market of pesticides, then about 42% of the market is occupied by those that are used in relation to winter wheat. About 19% for sunflowers and 18% for corn. About 64% of the total funds in 2016 was used for winter wheat. Top 5 best manufacturers, according to experts, are: Augustus, Adam, Bayer CropScience, Basf and Syngenta. These pesticides occupy about 90% of the market.In general, comparing the figures for 2016 and current indicators, the volume of application of tools for processing materials for sowing has risen by 13%. This trend is observed in connection with the increase in the amount of etched seeds.Also during the study paid attention to the process of buying pesticides. Thus, during the course of preparation, many entrepreneurs purchased all the necessary funds in the late summer of 2016. If you believe the received data, during this period the share of purchased drugs was 60%. If we compare these indicators with those that were obtained a year earlier, then they did not exceed 35%. An important role is also played by those who are the dealers of materials for sowing. Among the best are the following companies: Agroscope International, Empire Agro, Syngenta, Spectrum Agro and Eridon. 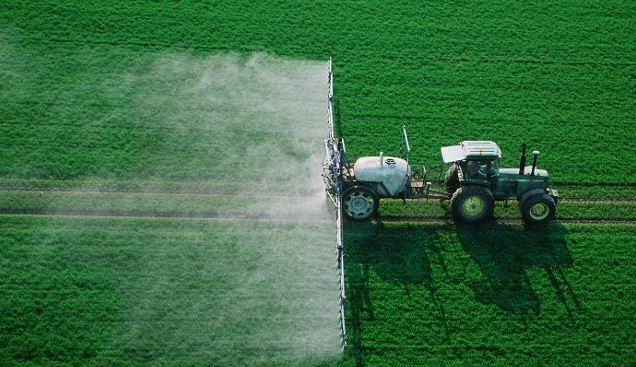 The listed companies occupy about 40% among the suppliers of pesticides in Ukraine.